Websites may not be able to identify you, but they can probably identify your web browser. Websites may not be able to identify you, but they can probably identify your web browser. Your browser sends a lot of information back to web servers, and the combination of settings for a particular browser are usually unique. To get an idea what information we're talking about, you could take a look at Device Info. One of the pieces of information that get sent back to servers is the list of fonts installed on your device. Your font fingerprint is just one component of your browser fingerprint, but it's an easy component to understand. Various applications install their own fonts. If you've installed Microsoft Office, for example, that would be evident in your list of fonts. However, Office is ubiquitous, so that information doesn't go very far to identify you. Maybe the lack of fonts installed with Office would be more useful in identifying someone. Less common software goes further toward identifying you. For example, I have Mathematica on one of my computers, and along with it Mathematica fonts, something that's not too common. Then there are the fonts you've installed deliberately, many of the free. Maybe you've installed fonts to support various languages, such as Hebrew and Greek fonts for Bible scholars. Maybe you have dyslexia and have installed fonts that are easier for you to read. Maybe you've installed a font because it contains technical symbols you need for your work. These increase the chances that your combination of fonts is unique. Maybe you have purchased a few commercial fonts. One of the reasons to buy fonts is to have something that doesn't look so common. 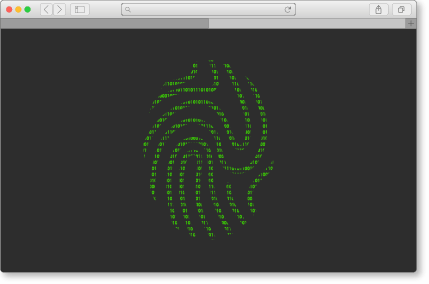 This also makes the font fingerprint of your browser less common. Your browser fingerprint is probably unique unless you have a brand new device, or you've made a deliberate effort to keep your fingerprint generic. So while a site may not know who you are, it can recognize whether you've been there before and customize the content you receive accordingly. Maybe you've looked at the same product three times without buying, and so you get a nudge to encourage you to go ahead and buy. Since there's more than enough information to uniquely identify your browser, fingerprints are robust to changes. Installing a new font won't throw advertisers off your trail. If you still have the same monitor size, same geographic location, etc., then advertisers can update your fingerprint information to include the new font. You might even get an advertisement for more fonts if they infer you're a typography aficionado. Except for a spearphishing attack. A server might check for the presence of fonts that, although uncommon in general, are likely to be on the target’s computer. For example, if someone wanted to detect my browser, in particular, they know I have Mathematica fonts installed because I said so above. And they might guess that I have installed the Greek and Hebrew fonts I mentioned. They might also look for obscure fonts I’ve mentioned in the blog, such as Unifont, Andika, and Inconsolata.